Stafford Fuels, a leading supplier of environmentally-friendly domestic fuels, has officially opened its new plant in New Ross to expand its offering of high-quality solid fuels for Irish customers. The new €3 million facility will initially produce 50,000 tonnes of smokeless fuels each year and has the capacity to double this output to over 100,000 tonnes each year. Stafford Fuels is also developing a new fuel at the plant that combines biomass with traditional fuel which reduces greenhouse gas and air emissions. The new facility, which began construction in early 2016, will create six new permanent jobs as well as securing the 35 existing jobs on site and supporting a further 20 support jobs in transport and maintenance. This high specification plant will produce smokeless ovoids, a high heat smokeless fuel, and will use new manufacturing technology to also develop environmentally friendly fuel containing biomass. Speaking at the official opening, Andy Maher, Managing Director of Stafford Fuels said: “We are delighted to be opening our new state-of-the-art plant here in Raheen which will see us expand our range of products for customers across Ireland. This is a significant investment by Stafford Fuels and demonstrates our commitment to operating in the South East for the long-term. This new investment marks another important step towards a sustainable future for Stafford Fuels which has been operating in the South East for over 125 years. Stafford Fuels operates a coal importation and wholesale coal bagging and distribution facility on a 20-acre site in New Ross and the new operation is located within the existing campus at Raheen. Stafford Fuels Ltd is part of the Stafford Group, a privately owned Irish Group of Companies. The Group also comprises Lifestyle Sports and Campus Oil and has a total employment of around 850 people. 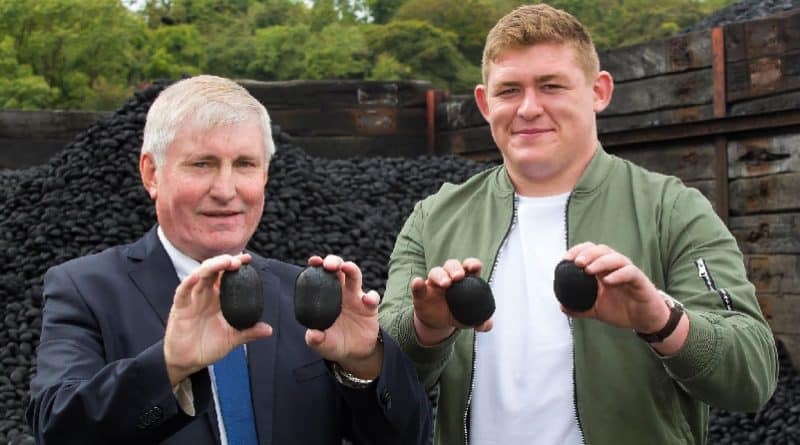 The new plant was officially opened by Ireland and Leinster rugby star Tadhg Furlong.